THE HORIZON PROBLEM, or the problem of causality. This is considered one of the biggest problems or headaches of the Cosmology, together with the problem of the flatness of the universe. This entry was posted in Relativity and cosmology and tagged cosmology on 4 October, 2011 by notraf. Suppose a star like the sun that is exhausting its nuclear fuel turning its hydrogen into helium and this into carbon, oxygen and finally iron coming a time when the heat produced by nuclear reactions is short to produce a dilation of the Sun and thus compensate the force of gravity. Then the sun collapses increasing its density, being only slowed down this collapse by the repulsion between the electron shells of atoms. 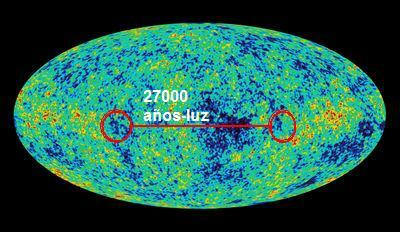 But if the mass of the sun is high enough it will be overcome this repulsion (exceeding the Chandrasekar limit) being able to get to merge the protons and electrons of the atoms, forming neutrons and reducing the volume of the star leaving no space between the nuclei of the atoms. 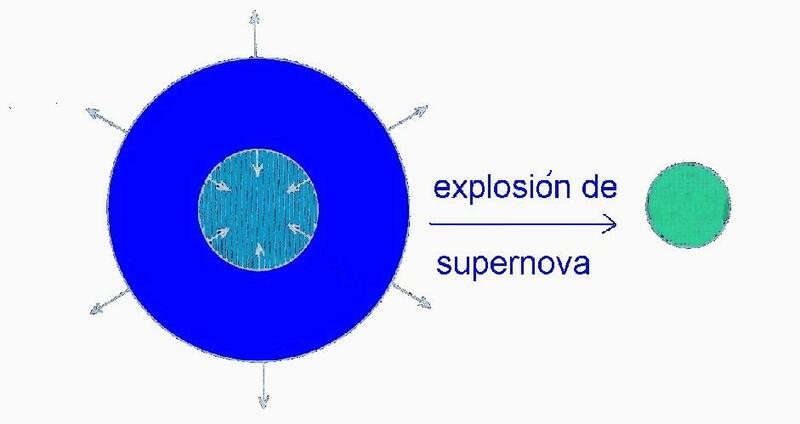 The Sun was to become a sphere of neutrons and therefore would have a very high density. It would be what is called “neutron star”. This entry was posted in Relativity and cosmology on 3 October, 2011 by notraf.